Morbid Anatomy, beloved purveyor of the arcane, whose most recent incarnation was the quirky Brooklyn-based museum that was shuttered in early 2017, has taken up temporary residence at Green-Wood in 2019. 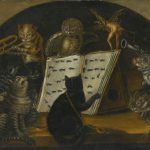 The historic Fort Hamilton Gatehouse will house the exhibition, Heaven, Hell, and Purgatory: Visions of the Afterlife in the Catholic Tradition and offer its picturesque attic space to Morbid Anatomy’s extensive library and collection of ephemera. Reprising its wildly popular public program series, the Morbid Anatomy team has curated the exhibition, plus a series of conversations, lectures, and events focused on the intersections of art and medicine, death and culture. In Catholicism, when a member of the faith dies, their soul awaits judgment before it can be reunited with the resurrected body. The unrepentant who have perpetrated the gravest sins descend into Hell, while the most pious are delivered safely to the eternal paradise of Heaven. Most, however, find themselves in Purgatory. In this liminal space—a sort of temporary hell—souls are purged of their sins until they have attained the purity necessary to earn their heavenly reward. The concept of Purgatory is contentious. Originally developed in the eleventh and twelfth centuries, it rose to popularity in the fourteenth century in response to the mass deaths wrought by the Black Plague. Disagreements about Purgatory contributed directly to the birth of Protestantism. One of Martin Luther’s major points of contention in his Ninety-Five Theses of 1517 was the purchasing of indulgences—papal grants promising to shorten or cancel a person’s time in Purgatory. Once sold as ubiquitously as lottery tickets, profits were used to fund various projects including the construction of St. Peter’s Basilica in Rome. Today, Purgatory is recognized only in enclaves of Europe and Latin America, however, the concepts of Heaven and Hell remain widely accepted within the Catholic ethos. 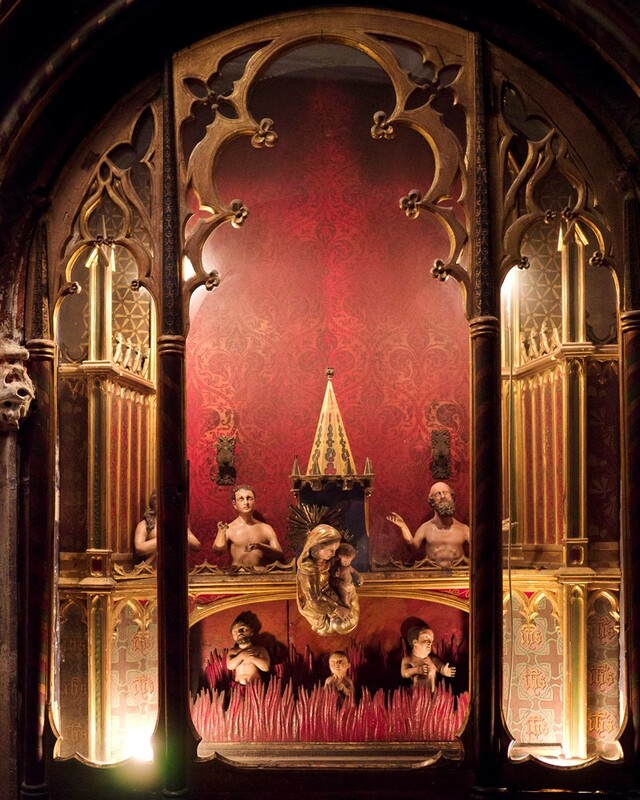 This exhibition explores how Catholic visions of the afterlife have stirred the popular imagination and served to steer the collective moral compass for centuries. The art, artifacts, and objects of material culture on view are drawn from The Green-Wood Historic Fund Collections and the greater Morbid Anatomy community. “Heaven, Hell, and Purgatory: Visions of the Afterlife in the Catholic Tradition” and the Morbid Anatomy Library are free and open to the public at the Fort Hamilton Gatehouse on Saturdays and Sundays, 12 –5 PM, from April 20 to June 30. To visit outside of these hours, email events@green-wood.com. The Gatehouse is located at Fort Hamilton Parkway and Micieli Place, easily accessible on the F and G trains at Fort Hamilton Station. The exhibition and library space are not handicap accessible. Click here for our inclement weather policy. 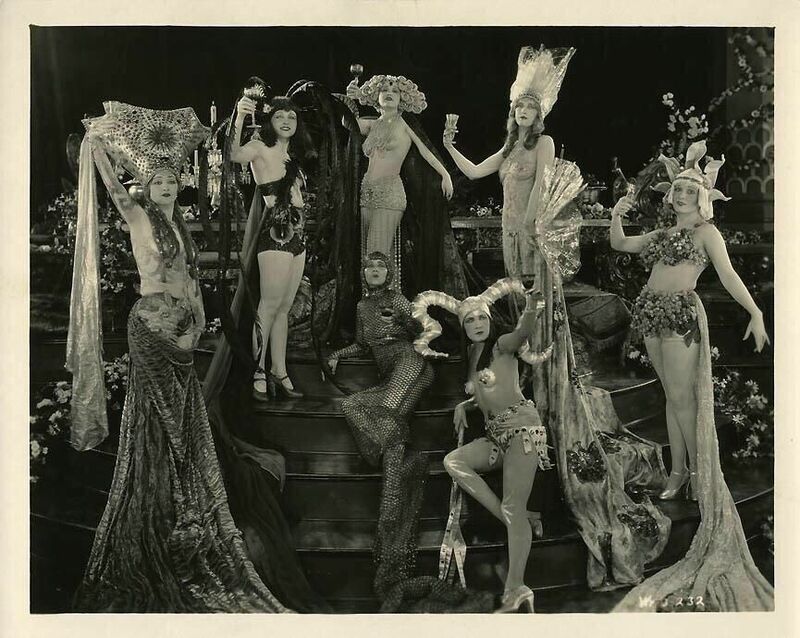 Hell’s Four Hundred, still from the 1926 film directed by John Griffith Wray. 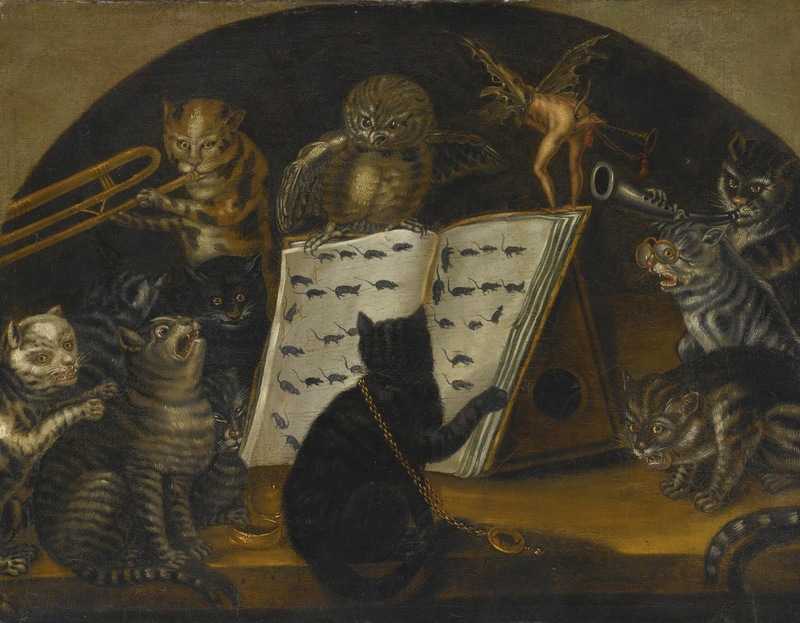 Join us for a special after-hours garden party to celebrate the return of spring and the opening of Morbid Anatomy’s new exhibition, Envisioning the Afterlife: Heaven, Hell, and Purgatory. Enjoy music curated by Friese Undine and complimentary refreshments while taking in the enchanting atmosphere. There will also be a special tour of the newly curated Morbid Anatomy Library by its creators, Joanna Ebenstein and Laetitia Barbier, as well as an opportunity to meet the artists, collectors, and contributors to the exhibition. Tickets are $15 / $10 for members of Green-Wood and the “Morbid Anatomy Supporters” Patreon Members. Back by popular demand! Festival of Arcane Knowledge is an afternoon-long exploration of the intersections between art, death, and culture, featuring short talks, demonstrations, and film screenings presented by Morbid Anatomy’s community of makers, teachers, collectors, and rogue scholars. 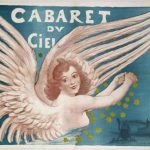 Special tours will be available of both the exhibition Envisioning the Afterlife: Heaven, Hell, and Purgatory and Green-Wood. The day’s activities will be followed by an evening reception. 12 PM – 1 PM: Special tour of the Morbid Anatomy Library and our new exhibition, Envisioning the Afterlife: Heaven, Hell, and Purgatory. 1 PM – 2 PM: Special walking tours of The Green-Wood Cemetery. 2 PM – 6 PM Conference and screenings in both Modern Chapels. 6 PM – 7 PM Garden party with refreshments. Tickets are $45 / $40 for members of Green-Wood and the “Morbid Anatomy Supporters” Patreon Members. 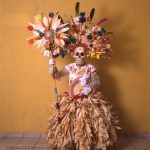 For over thirty years, photographer Phyllis Galembo has documented rituals and customs throughout Africa and the Americas. 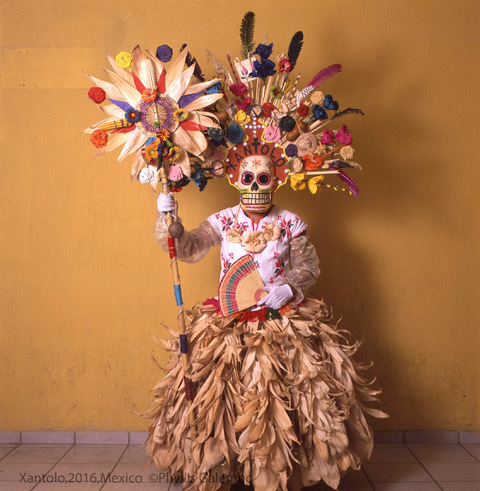 Her latest body of work, the subject of a newly published volume Mexico, Masks & Rituals, focuses on how masks, costumes, and body paint found in Mexico transform and encode a rich range of political, artistic, theatrical, social, and religious meanings on the body. Galembo received her MFA from the University of Wisconsin–Madison, and was Professor in the Fine Arts Department of SUNY Albany from 1978 to 2018. A 2014 Guggenheim Fellow, Galembo has photographs in numerous public and private collections, including the Metropolitan Museum of Art and the New York Public Library. Her photographs of ritual masks in Africa, the African Diaspora, and beyond have been the subject of several monographic publications, including Maske. Copies of Mexico, Masks & Rituals will be available for purchase and signing. Tickets are $10 / $5 for members of Green-Wood and the “Morbid Anatomy Supporters” Patreon Members. As the world’s weather jumps the rails, some have started referring to global warming as global weirding—and for good reason. 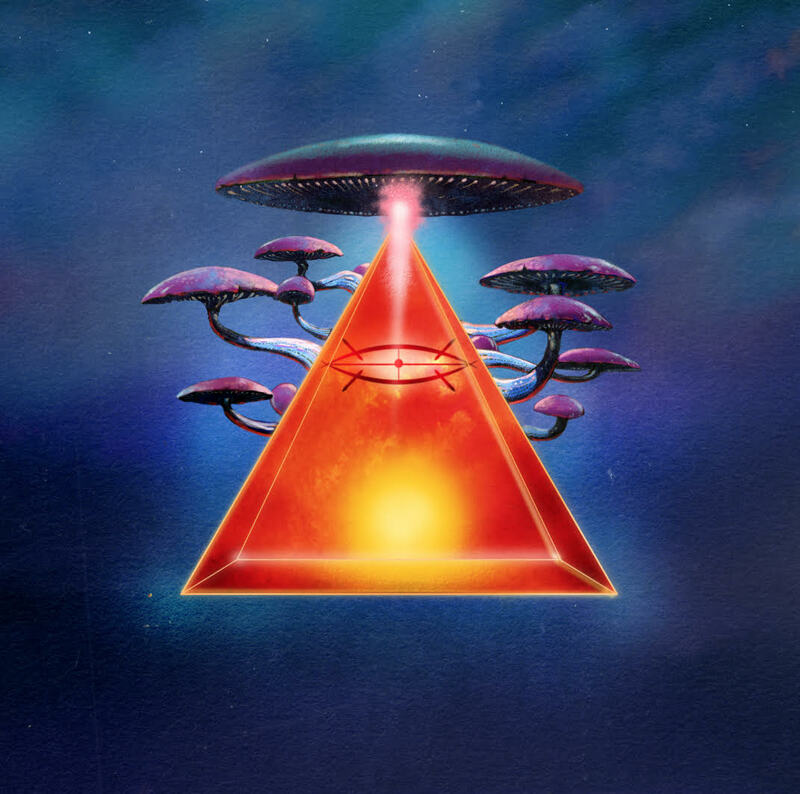 Between the apocalyptic mutations of our times, the emergence of what philosopher Graham Harman calls weird materialism, and the growing popularity of psychedelia, esoterica, and other uncanny cultures, the weird has become a key zone of contemporary thought and experience. In this talk, Dr. Erik Davis—author of the new book High Weirdness: Drugs, Esoterica, and Visionary Experience in the Seventies—will deepen our historical, conceptual, and aesthetic sense of what it means to live in weird times. Erik Davis is an author, scholar, podcaster, and award-winning journalist based in San Francisco. He has been talking, writing, and presenting about alternative culture, spirituality, and media technology for over thirty years. A popular speaker and documentary talking head, he also explores the “cultures of consciousness” on his weekly podcast Expanding Mind. He earned his PhD in religious studies at Rice University in 2015. Books will also be available for sale and signing. 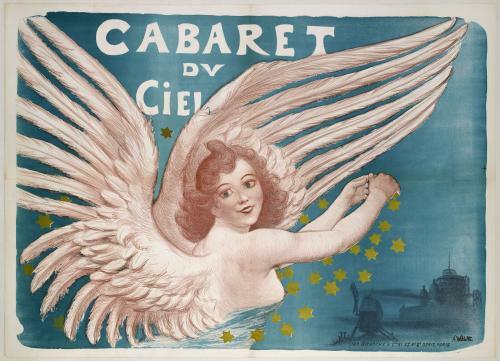 Cabaret du Ciel, Willette, Adolphe Léon, advertisement painting, 1880, from the collection of Musée Carnavalet, Paris. As summer comes into full swing, join us to bid adieu to Morbid Anatomy’s residency at The Green-Wood Cemetery until autumn! Enjoy music curated by Friese Undine and complimentary refreshments while taking in the enchanting atmosphere. Spend some time in the Library, take a last look at the exhibition, Envisioning the Afterlife: Heaven, Hell, and Purgatory, and mingle with Morbid Anatomy’s Joanna Ebenstein and Laetitia Barbier, along with the artists, collectors, and contributors to the exhibition.